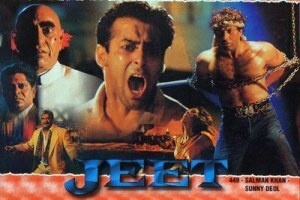 Tells the story of a feared hit man named Karan, who kills for the mobster Gajraj. On one assignment, Karan meets and falls madly in love with Kajal, the beautiful daughter of an associate. After initial resistance, the pure and innocent Kajal finds herself reciprocating Karan’s feelings, and the two must find a way to get around the objections of Kajal’s overprotective father, who tries to force her to marry another man.